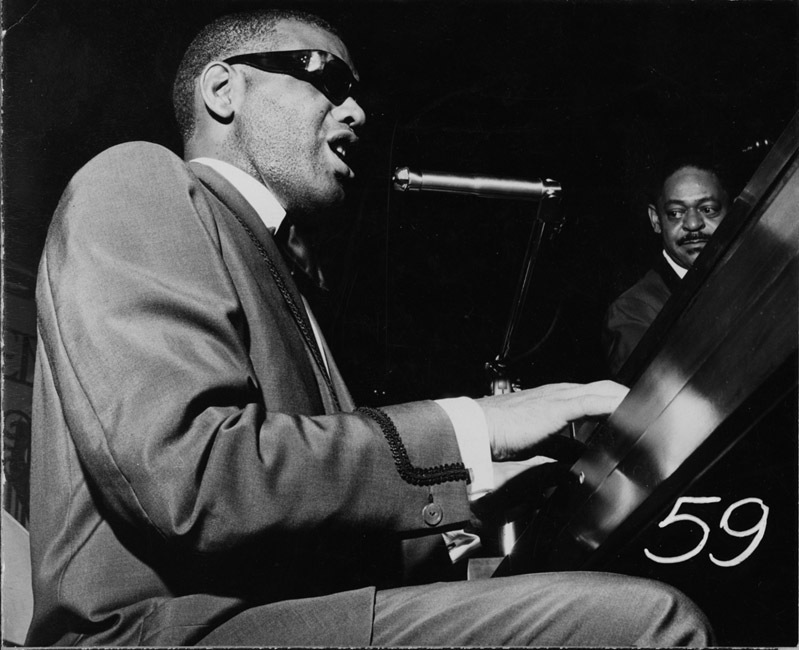 Ray Charles played a concert in Memorial Gym in 1963. 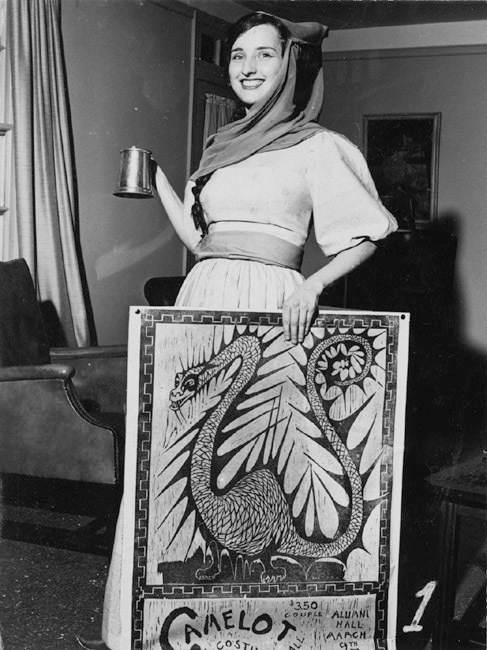 Architecture students' Beaux Arts Ball in 1963 had a "Camelot" theme. 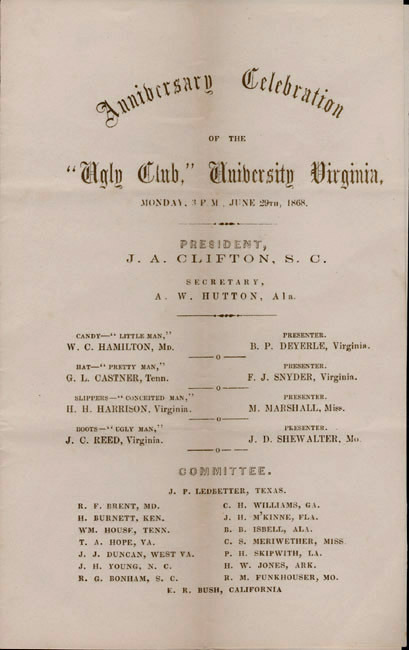 "Anniversary Celebration of the 'Ugly Club,'" 20 June 1868. The Ugly Club's annual contest was an enormously popular form of entertainment held at the University in its early years. The boisterous event held on the Lawn featured many clever speeches. Entrants vied for awards given to "the man with the homeliest countenance," "the prettiest man," "the smallest man," and "the vainest man." The prize for being the ugliest was a pair of boots.